Did you miss part I of Jordan’s article? Click here to check it out. In the first part of this piece, we covered the basics of how to qualify for Social Security benefits. Now, let’s take a look at some key factors women should consider when planning for their own Social Security needs. Be sure to report the change to the Social Security Administration (SSA). Otherwise, your earnings may not be recorded properly, and consequently, you may not receive all of the benefits that are due to you. Whether it’s to care for children and/or aging parents, some women move in and out of the workforce at certain points in their lives; and as a result, they don’t meet the work requirements needed to obtain Social Security disability benefits. Personally, I don’t feel that this should be the sole factor in your decision to stay at home to care for family; however, you should definitely be aware that losing disability coverage could be a potential outcome of a disrupted work record. If your Social Security retirement benefit isn’t at least half of your spouse’s benefit, you will receive a spousal benefit to make up the difference. For example: if your spouse is entitled to a monthly benefit of $1,500 at his or her full retirement age (FRA), and your work record only entitles you to $500 per month, an additional $250 will be added to your benefit to ensure that it equals half of your spouse’s amount.1Matthew Frankel, “Social Security Spousal Benefits in 2017: What You Need to Know,” The Motley Fool, January 29, 2017, https://www.fool.com/retirement/2017/01/29/social-security-spousal-benefits-2017-what-you-nee.aspx, accessed August 2017. On average, women typically earn less than men over the course of their careers, so the spousal benefit can be an important factor to maintaining financial security in retirement. Since they tend to live longer than men, it’s especially important for women to carefully consider when to begin collecting Social Security. On average, a woman who is 65-years-old today can expect to live until about age 87, while a 65-year-old man can expect to live, on average, until about age 84.2Social Security Administration (SSA), “What Every Woman Should Know,” June 2017, https://www.ssa.gov/pubs/EN-05-10127.pdf, accessed August 2017. In order to account for longevity, it is worthwhile for women to consider whether they or their spouse (if applicable) should delay receiving their Social Security benefits past their full retirement age (FRA) in order to receive delayed retirement credits (DRCs). As mentioned in part I of this article, Social Security retirement benefits are increased by a certain percentage (depending on your date of birth) if you delay your retirement beyond FRA, up to age 70. If it’s financially possible to do so, couples should consider whether the higher earner should delay benefits up to age 70 in order to preserve the largest benefit for the surviving spouse — often the woman — after the first spouse passes away. If you remarry before you reach age 60 (or age 50 if you are disabled), you can’t receive widow’s benefits as long as your marriage remains in effect. If you remarry after you reach age 60 (or age 50 if you are disabled), you’ll continue to receive benefits on your deceased spouse’s Social Security record. However, if your current spouse is a Social Security beneficiary, you should apply for a spousal benefit if it will be larger than your widow’s benefit (you can’t receive both).3Ibid, 2. As you can see, there are several important factors to consider when making decisions about Social Security — and these are just a few. 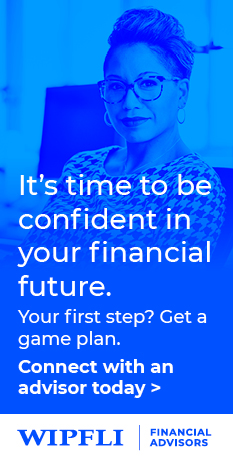 Consult a Certified Financial Planner™ (CFP®) professional for help with comparing the various scenarios that may apply to your individual situation, so you can make an informed decision. After all, women make up 56 percent of all Social Security beneficiaries age 62 and older, and 66 percent of all beneficiaries age 85 and older.4U.S. Department of Health and Human Services, “A Profile of Older Americans: 2012,” accessed August 2017. That trend shows no sign of slowing, so you’ll be glad you did the extra legwork and planned in advance! Need help navigating the Social Security planning process? Connect with a member of our advisory team.